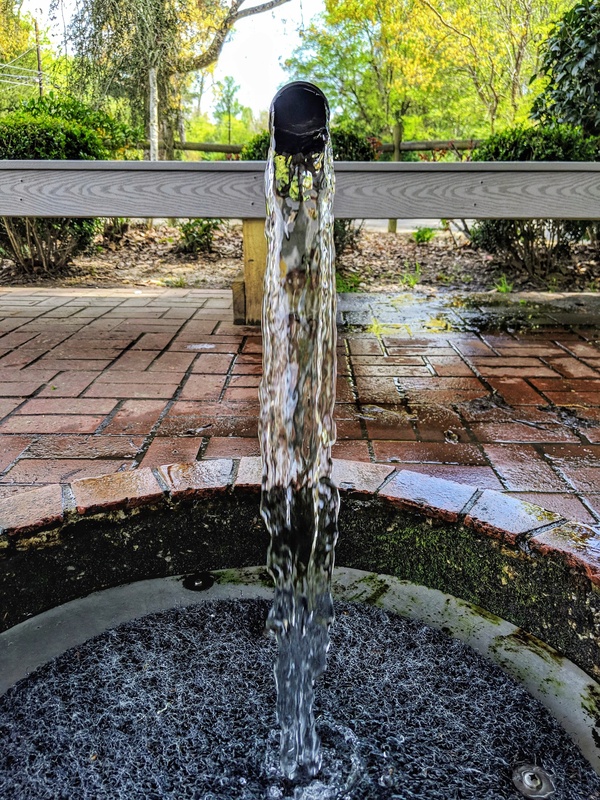 This is a photo of the water pouring from Doster Road Artesian Well in Prattville, AL. It’s a source of free spring water. Just bring a container, fill it, and take a sip. The well is covered by a well-house that includes a bench. It’s also right beside the Autauga Creek trail and near Pratt Park. Katie Pollock is a photographer who tries to capture the startling beauty of the natural and human-made world in a way that also captures the imagination of her audience. She uses photographs to communicate a sense of place and to convey a feeling of humanity’s connection to the world. Katie is an Alabama native, though her photos encompass many parts of the US as well as abroad. You can see her art on Instagram @katiepollockart.